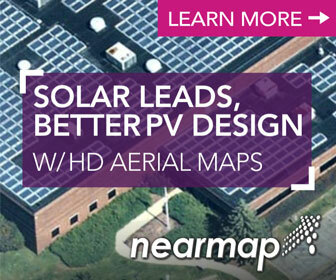 Residential solar vendor financing products help companies sell more solar. However, the majority of companies selling and installing solar don’t have great vendor finance options for their customers. Nor, do the majority of solar finance investors have inexpensive access to deal flow because most providers of power purchase agreements (PPA) and leases have an incentive to extract margin from companies selling and investing in solar. Consequently, the residential solar industry needs a marketplace to ensure companies selling and investing in solar get the most value. Residential solar financing is investing in long-term energy contracts. In effect, consumer electric utility bills are being refinanced by investors. High and/or rising consumer electricity rates mean homeowners can save money, while investors earn attractive returns with residential solar financing. On average, residential solar investments generate high single-digit to mid-teen after-tax returns. Federal tax incentives, as well as local cash incentives, provide substantial “down payments” that reduce an investor’s dollars at risk and/or increase returns. Warren Buffett’s recent investments in two solar farms qualify for the same risk reducing and/or return-increasing government incentives. Residential solar investors’ risk is further reduced because American homeowners pay their electricity bills promptly and reliably. Despite the recent recession, to date, residential solar portfolios experience repayment rates similar to those of AAA-rated S&P corporate bonds (50-year average default rate for corporate bond issuers). High returns and low risk make residential solar investments a very attractive, long-term asset class. Unfortunately, residential solar investment suffers from high transaction costs and limited access to deal flow. 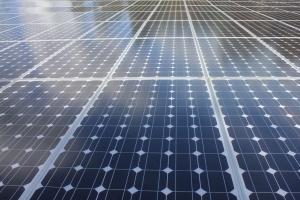 For example, the typical residential solar investment costs approximately $500,000 in specialized legal and accounting fees, constituting as much as one percent of the cost of a solar investment, which translates into lower prices paid for solar systems and/or higher financing costs for consumers. A marketplace that reduces transaction costs and improves access to deal flow will make it easier and more profitable to refinance consumer electricity bills with residential solar power. In order to expand businesses and meet market demand, solar sales companies need access to PPAs and leases offering competitive terms. Yet, approximately 98% of residential solar sales companies have no access to financing. The fortunate installers who are able to secure financing to offer homeowners often have limited options, and may be required by the financer to sign exclusivity agreements and subsume their company brands—just imagine selling cars and only getting a loan quote from one finance provider. However, a solar finance product marketplace challenges the status quo. 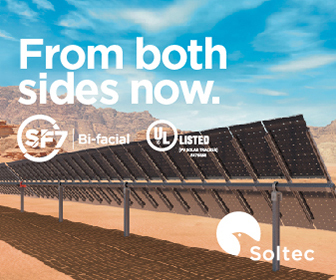 In a marketplace, companies selling solar compare a variety of finance products and choose the one that works best for them and individual homeowners. Competition among a broad range of financing products provides better terms for companies selling solar and their customers. Better terms help solar sales companies to expand their businesses quickly. A solar finance marketplace will help spur sales of solar equipment and products benefitting upstream industry players, as well. For example, individual finance products such as leases and PPAs may include pre-packaged solar materials. White-label offerings in the marketplace give manufacturers the opportunity to promote their individual brands, while selling equipment bundled with financing. For instance, major consumer electronics companies that manufacturer solar equipment can leverage their brands to attract homeowners, and use financing from the marketplace to help them buy it. Refinancing consumer electricity bills creates tremendous value for solar companies, investors, and consumers. Five years ago, the creation of residential solar PPAs and leases represented a giant step forward in democratizing solar. Homeowners with high electricity bills and good credit, who were not able to pay $50,000 for a solar system, started using solar PPAs and leases to save money with clean electricity immediately. These financing products expanded the addressable market for companies selling solar. Yet, access to and supply of this valuable vendor financing artificially constrains the residential solar industry’s growth now. A marketplace for residential solar finance products is the new catalyst for widespread consumer adoption of solar. Nat Kreamer is CEO of Clean Power Finance. He is a founder of SunRun, and sold the first residential power purchase agreement in California.